For some people, fillings are another part of a trip to the dentist. No childhood would be complete without a sweet tooth, and that can lead to an emergency trip to the dentist. 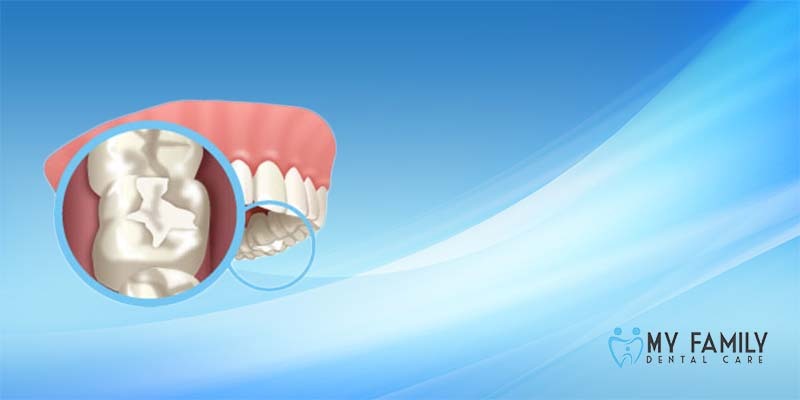 Trying to curve those trips can lead to horrible effects like cavities, loss of teeth or other problems. But why worry about a fix that can help you keep the beautiful teeth that everyone can have. Cavities are holes that can occur when improper brushing or flossing takes place. Without proper help, these holes can be uncomfortable, irritating and lead to more work needing to be done in the future. A quick trip in to My Family Dental Care can help fill these holes with a white or silver filling. Often the filling can be color matched to blend perfectly in with the rest of the tooth and are almost impossible to find. But not every needs a filling. Sometimes, having misshapen or missing teeth are part of life. These are easy problems to fix. Chip a tooth and need it corrected? Bonding can help with that. Having trouble with misshapen or discolored teeth and need a fix? That is just as easy. Veneers are the answer. Veneers are thin layers of porcelain or zirconia that are used as facing for the front teeth to correct the shape or color, or close small spaces and give an amazing smile. Dentistry can be an easy, fun and quick. And having work done can be just as easy as a normal cleaning. So when life hits you in the teeth, we’ll be there to help you fix the problem and get you back on your feet. Let us at My Family Dental Care prove it to you.